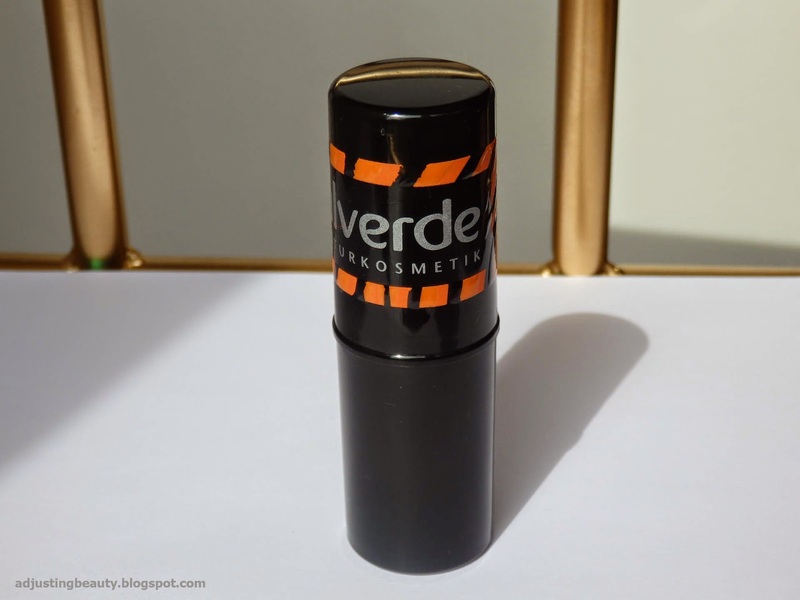 I never pay too much attention to Alverde brand, but they do have some nice products. I especially like their limited editions. 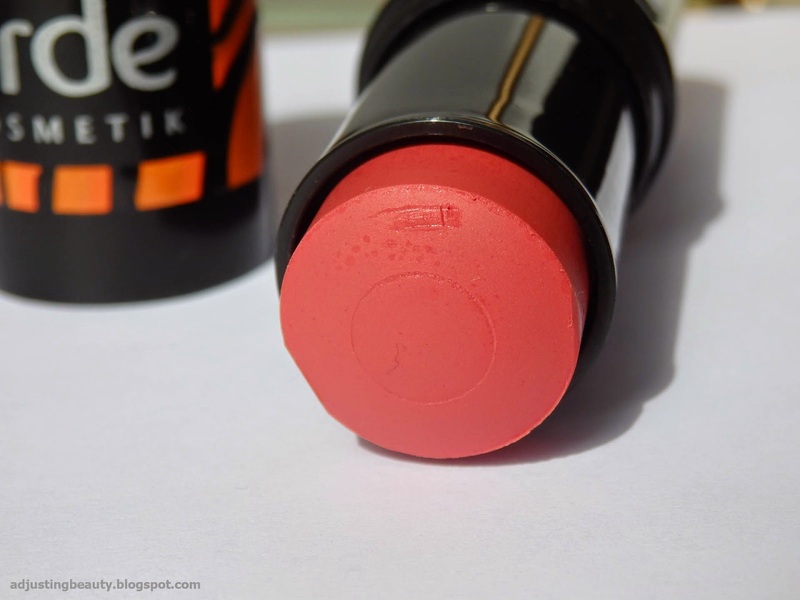 I saw the Colorful Paradise LE in the store and immediately wanted one of their blush sticks. 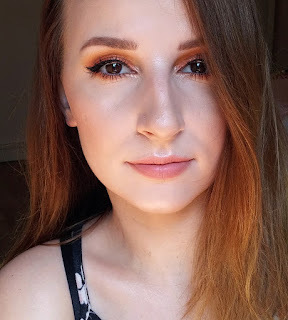 I decided to take the more orange shade. I like cream products, because they are great for natural makeup look and for quick makeup. 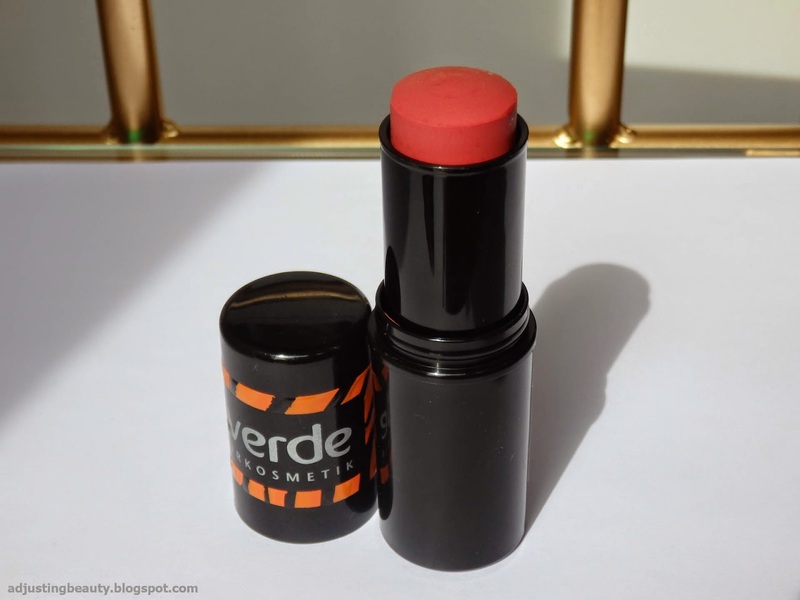 The blush stick comes in a plastic packaging. It looks like a big lip balm tube. The packaging is shiny black. In it is 9.5 grams of product and it costs 4.99€. It's not the cheapest product, but you do get a lot of it. It's easy to roll the blush out and it. 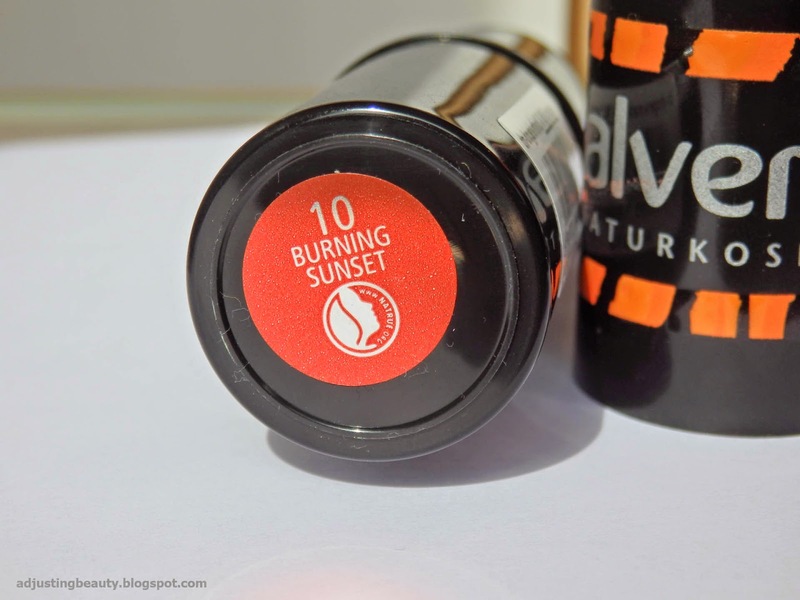 There are two shades available and I chose 10 Burning Sunset. 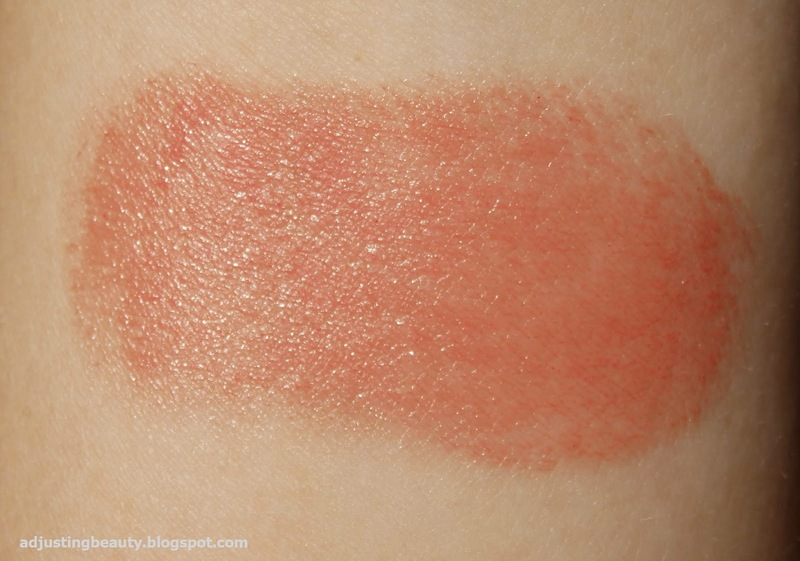 It's some sort of brick red shade, that has a very warm orange to pink undertone, but looks more redish orange on the skin. I detect the tinniest shimmer, which looks like its silver, but is basically unseen on the skin. 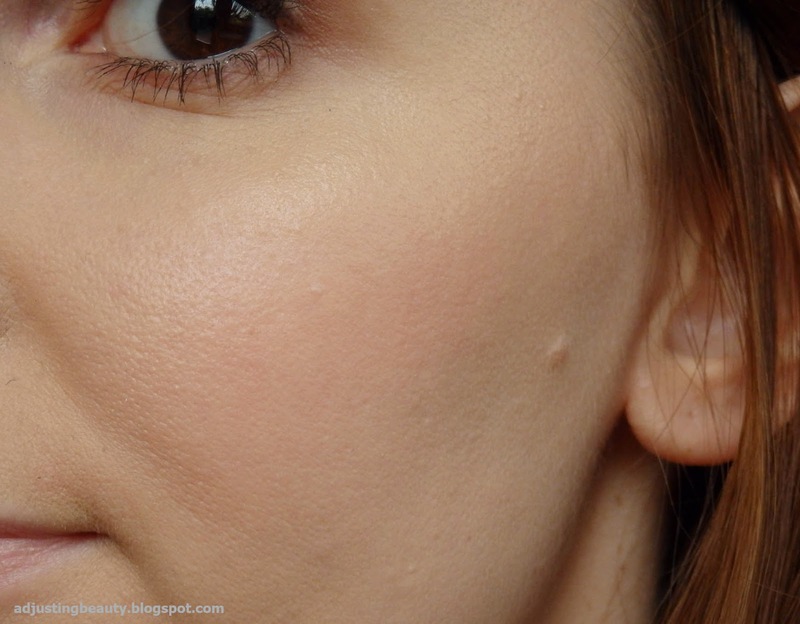 It just gives the blush a nice glow or dewy finish. Stick makes the application extremely easy and perfect for on the go. 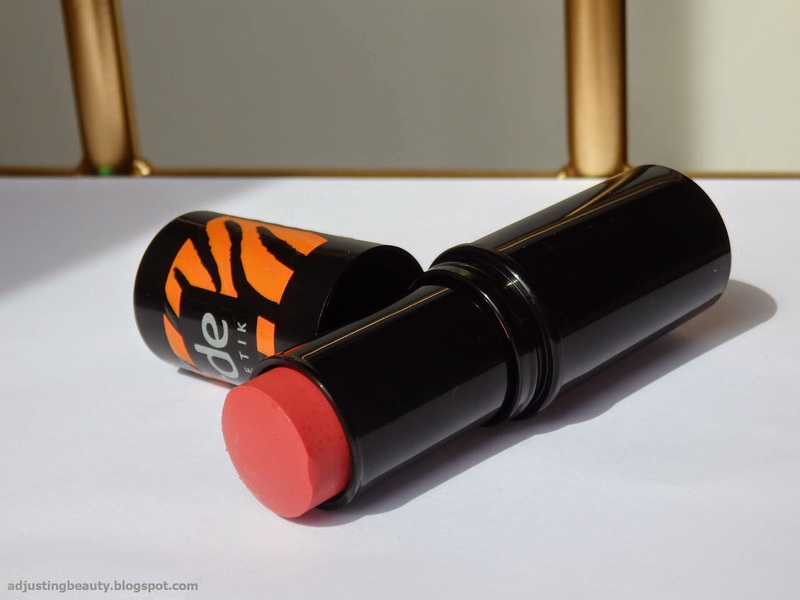 The formula is nicely moisturizing and glides on really easily, but is still pigmented enough. However, if you want it to look as strong as powder blush, you need to layer it. You can make it extremely sheer or very bold. 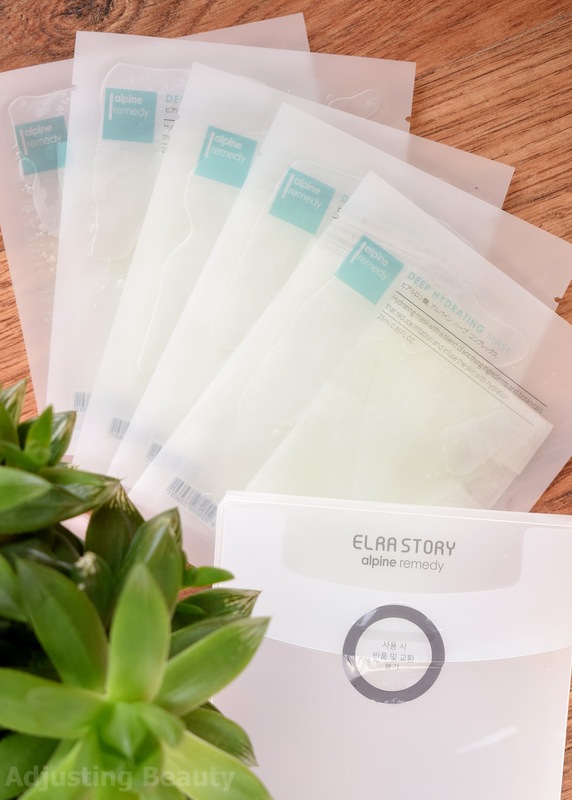 I like the formula, the packaging and the easy use of it. I know I'll be using this for when I want a very natural look or for when I'm in the rush. 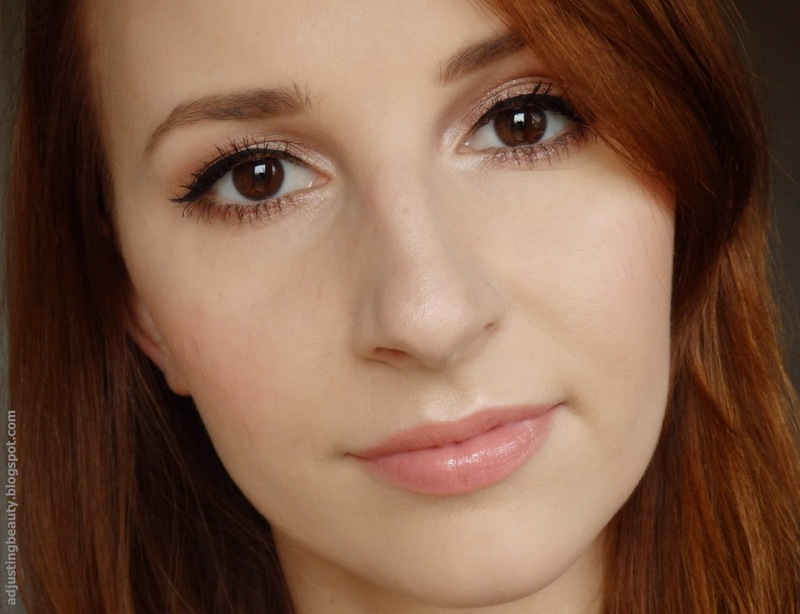 It gives the cheeks that little pop of color and makes the skin look very dewy almost glowy. Do you like cream blushes? Or do you prefer powders? Hvala:) Ja res je tako zelo naravno, ker ni ekstremno pigmentirano, paše kremna rdečila se na splošno razmažejo v tak naraven videz:). No saj zdaj imaš že več teh formul. jaz nisem drugače ljubiteljica kremastih, samo za kakšne naravne, on the go videze ali pa pač poletje, ker je bolj priročno:). Joj vedno nekako zgrešim tele njihove LE kolekcije, edino če jih v mariborskih DM-ih sploh nimajo, ne vem, ne vem..
Res? Mogoče pa prihajajo z zamudo, ali pa celo prej:). Jaz sem tudi bolj navdušena nad pudrastimi rdečili. Včasih pa je dobra kakšna sprememba:).